WOW! 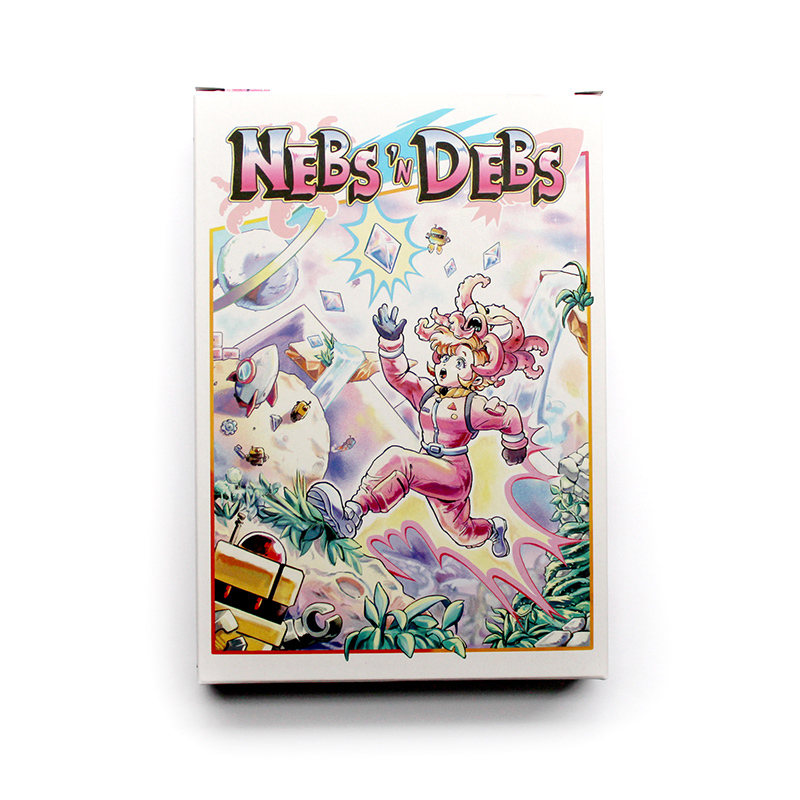 My friend Chris Cacciatore’s NEW game Nebs ‘n Debs is 475% funded on Kickstarter! His campaign ends in 36 hours, so if you’re interested, donate soon. I’m helping him with the design work on this project including the box and manual for the game. As I kid I grew up with a Super Nintendo that I loved and spent countless hours playing Super Mario World (the music will forever be etched into my brain), Wario Woods, and we even had a Wayne’s World SNES game. Who would have thought that in 2018 I would be designing a box and manual for an NES game?! I love fun projects like this. This was a dream project made extra special with specialty printing. This custom gala invitation for the New Conservatory Theatre Center in San Francisco utilizes red foil to stand out and (literally) shine! The whole set features an invitation, RSVP card, envelopes and web and print graphics. 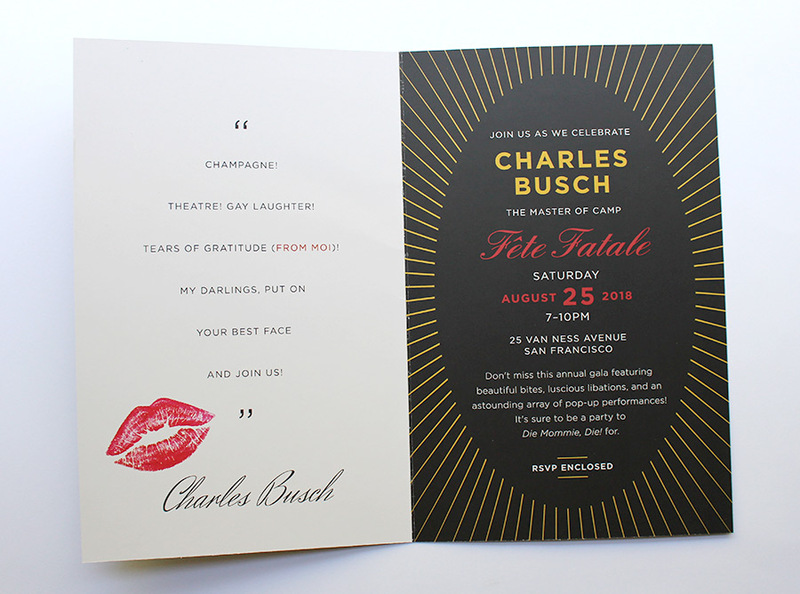 Printing techniques like foil stamping makes a pieces like this invitation stand out, increases user interaction (how can you pass up the beautiful shine? ), and makes it a more effective marketing piece. 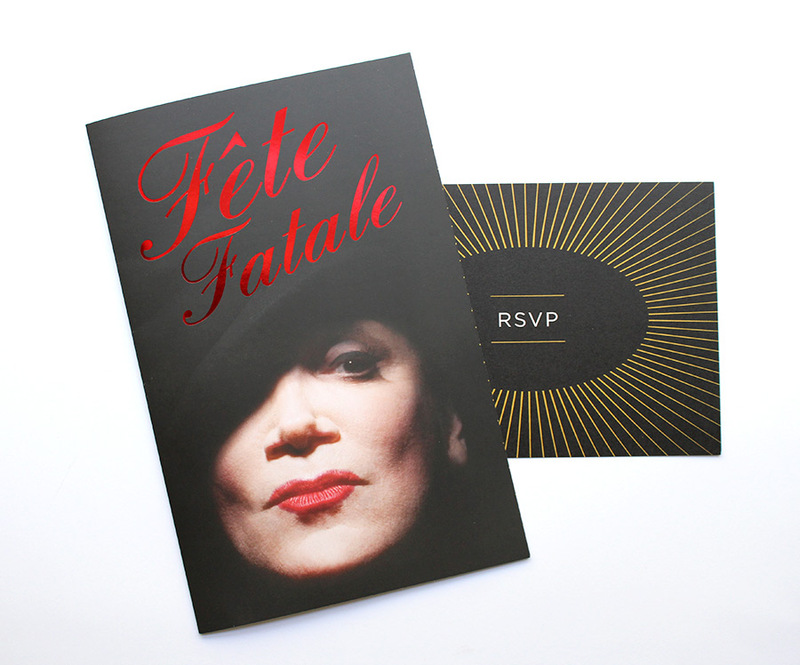 The foil stamp pairs well with this invitation since it enforces the glamorous aesthetic of the design and professional photograph on the front. I designed and illustrated these new marketing materials for the teen production of Charlie and the Chocolate Factory for the New Conservatory Theatre Center in San Francisco. The dimensional candy and bright colors really make these pieces pop. The campaign includes printed posters and postcards, TV screen and web graphics. See more in my portfolio. I developed the illustrations and color palette for this show last year while working on the new art for the New Conservatory Theatre Center in San Francisco. This year I applied the art to the marketing pieces to promote the show. I love how this turned out and had a blast designing it. The colors are so vivid and they match the high energy of the show. I created a whole series of promotional pieces including two posters, two postcards, digital ads and other print and web pieces. View more on my portfolio. Go catch the show in San Francisco playing now through June 10th. Buy tickets here. It's Only a Play opens tonight! 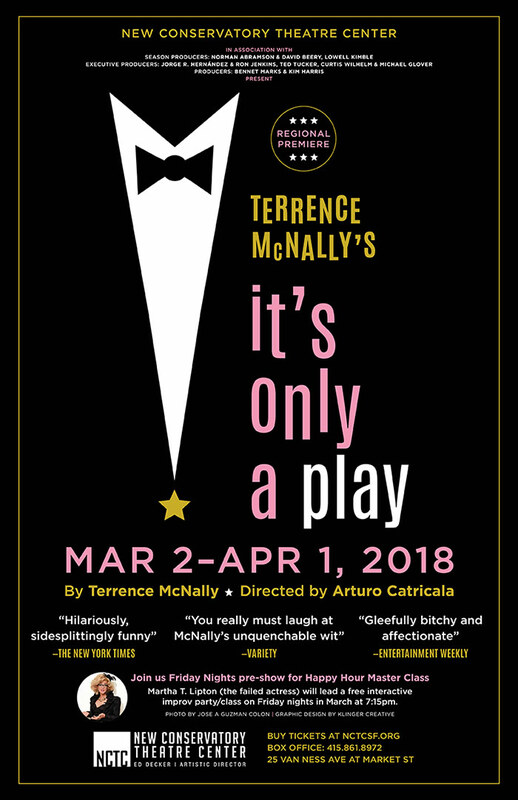 The regional premiere of It's Only a Play opens tonight in San Francisco at the New Conservatory Theatre Center. I designed the look and marketing pieces for this new production. It's a high impact campaign created with minimal elements for print and web. I really like how different it looks from the NY production. It's one of my favorites of this year so far. I designed and illustrated the marketing pieces for Le Switch at the New Conservatory Theatre in San Francisco. Get tickets here! View more of the campaign in my portfolio. Happy Friday! I have a fun client project to share with you. I designed this custom pattern for cookbook author Jenn de la Vega to promote her new book Showdown Comfort Food, Chili & BBQ: Bold Flavors from Wild Cooking Contests. She gave me a list of foods and items she wanted included (burger, tongs, spatula, garlic, bacon, etc.) and I used it to create this repeating pattern. It is currently available for sale on Spoonflower and will also be applied to a variety of goods. Fun fact: Jenn and I met many years ago when we were both DJs and staff members at KDVS freeform radio in Davis, California. She now lives in Brooklyn, NY. It was wonderful working with her again (I also created this custom thank you card for her) and I love watching her food career soar. Go buy her book, available now. 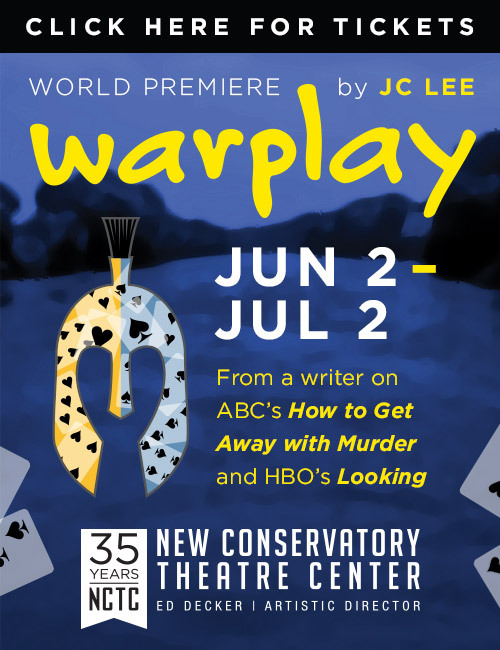 The world premiere of Warplay opens tonight at the New Conservatory Theatre Center in San Francisco. I designed the poster, postcard, web banners, and other promotional materials for this new production. If you're in the city, go check it out.